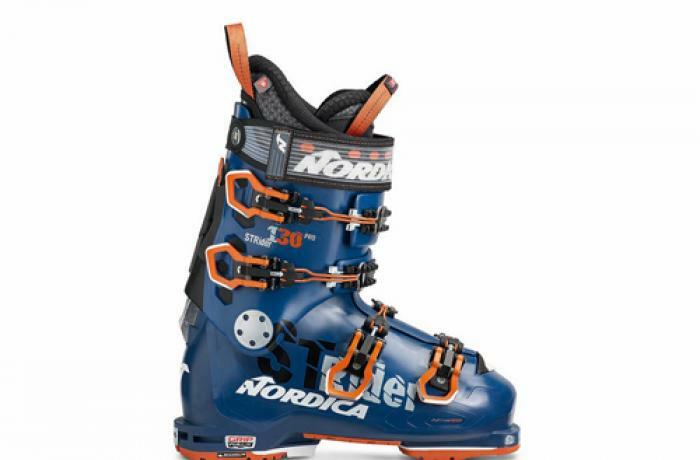 The 2018/2019 Nordica Strider Pro 130 Dyn was tested in the men's On-Off Area medium width category at Silver Mountain Resort by the experts at America's Best Bootfitters, powered by Masterfit. The 2019 Nordica Strider Pro 130 Dyn takes the award-winning Speedmachine lower boot, makes some slick touring modifications to it and builds it with lightweight Grilamid plastic, then bolts on a light, stiff carbon-reinforced Triax cuff to reclaim its position with testers as one of their favorite medium-width hike mode enabled All-Mountain do-everything boots. For classic Nordica fit and feel paired with real Alpine-level downhill performance, you'll find few better than the Strider, testers said again this year. This year testers agreed that the Strider Pro 130 Dyn sat just on the snug side of the medium-fit centerline, with a quite snug initial fit on the lateral side of the foot, heel and ankle. Testers noted that after skiing a few runs the liner relaxed just enough to even-up the fit throughout, though it didn't blow out—it's a performance medium fit, they said. The flex-feel is firm but on target for a 130, they said, with just enough cushion for the shin. The 3D Cork Fit LIte liner is articulated for touring and is light weight, but still manages to both cushion and control the foot. The Tri-Force design Grilamid lower shell can be custom fitted with Nordica's Infrared molding system, but there weren't many testers calling for it, as liner molding took care of most of their fit needs easily. One tester said, form has high-fived function here, and the rest of the crew agreed. Testers were surprised by the Strider Pro 130's power-to-weight ratio as the thin-shell-wall Grilamid lower boot and carbon reinforced Triax cuff teamed up to produce a noticeably lightweight boot that pumped out remarkably strong and quick turns. It didn't take many of those turns for a tester to forget it wasn't his own daily driver and go start looking for fresh lines. The hike mode got pretty decent marks for mobility range and quality of movement—one of the best of the alpine-strong tourers for sure, testers agreed. The wire-bale cuff release actuation was simple and effective, they said, though took a little practice to get latched initially. lightweight, Spartan Velcro power strap was a favorite—no silly pulley-buckle B.S. here, thank you Nordica. The wire-loop-hooky buckles were disdained by some and loved by others, but they got the boot buckled just fine with a little fiddling about along the learning curve. 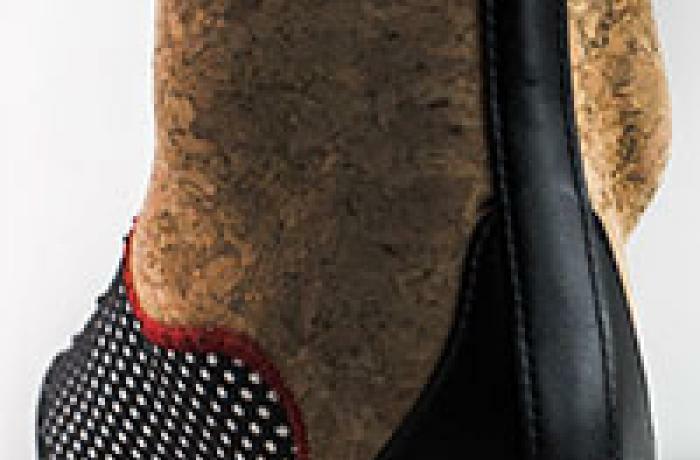 The combination of Dynafit certified tech inserts and GripWalk soles made this boot viable in a variety of different bindings: low-tech, alpine GripWalk, or A.T. frame, and testers appreciated that versatility (as will retailers). Testers were divided on the boot name's coolness, since it sounds an awful lot like an elliptical trainer found on the Home Shopping Network—but hey, you can get exercise with this one too, and with way better views.